April 19, 2019! TSP 2019 Registration! 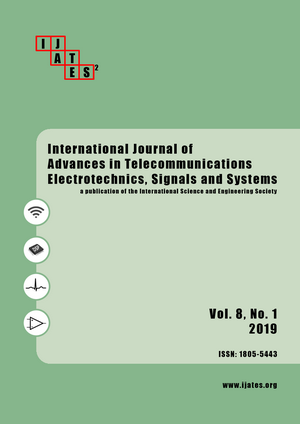 The International Journal of Advances in Telecommunications, Electrotechnics, Signals and Systems (IJATES2) is an all-electronic journal with the aim to bring the most recent and unpublished research and development results in the area of electronics to the scientific and technical societies, and is supported by the ISES (International Science and Engineering Society, o.s.). IJATES2 is fully open access journal, all papers are DOI (digital object identifier) attached (prefix 10.11601) and once accepted, they are immediately available through the Internet from all over the world for free. These papers are subsequently published in the volume every four months and archived.